As an internal medicine physician, Dr. Ackerman is trained to deal with whatever health problems his patients are facing—no matter how common or rare, no matter how simple or complex. And with more than a decade of experience caring for patients, he’s an expert at solving puzzling diagnostic problems and handling situations where several different illnesses may be occurring simultaneously. Board certified in internal medicine, Dr. Ackerman believes in treating the whole patient. 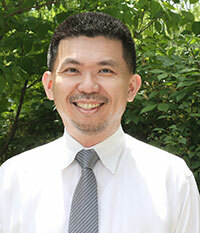 He also believes in listening, promoting wellness and being there for his patients throughout their entire adult lives. Education and Training: After earning his Doctor of Medicine degree from the University of New England College of Osteopathic Medicine in 1996, Dr. Ackerman completed the Atlantic City Medical Center Internal Medicine Internship and Residency Program. 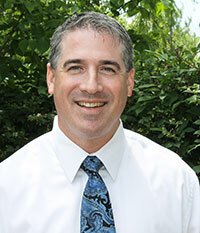 Employment: Dr. Ackerman joined Fauquier Health as a private practice physician with Warrenton Medical Associates in 1999, right after he completed his residency program. Personal Interests: Dr. Ackerman is married with two children. In his spare time, he enjoys golfing, reading, and exercising as well as spending time with his family. He is an avid New York Yankee and New York Giant fan. As a primary care physician, Dr. Lin handles a broad scope of medicine that includes total body wellness, disease prevention and the management of chronic conditions and illnesses. And as an internal medicine specialist, he not only gets the opportunity to work with our patients one-on-one, he gets the opportunity to help them manage their well-being over time. Board certified in internal medicine, Dr. Lin specializes in treating patients with everything from diabetes, heart disease and hypertension, to infections, the common cold and the flu. But more importantly, he specializes in being a compassionate and caring physician who understands the importance of being a positive influence on our patients’ lives. Dr. Jennifer Ackerman has a passion for wellness and disease prevention with a focus on women’s health issues. She has had over a decade of experience in all areas of primary care for adults and adolescents. Dr. Ackerman encourages her patients to take a greater role in their own health and healthcare decisions. She has a very compassionate and caring approach and has a way of putting patients at ease. Education and Training: After earning her Doctor of Medicine degree from the University of New England College of Osteopathic Medicine in 1996, Dr. Ackerman attended Atlantic City Medical Center to complete her Internal Medicine intership and residency program. Employment: Dr. Ackerman has been practicing here in Warrenton, VA since 1999 after completing her residency program. Personal Interests: Dr. Ackerman is married and has two children. 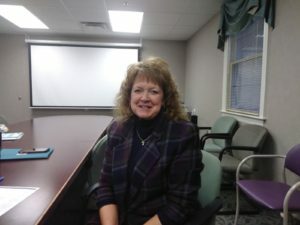 In her spare time, she enjoys cooking, gardening, reading, and spending time with her family as well as their two dogs! Mrs. Bettick earned a Bachelor of Science in Human Nutrition and Dietetics from Madonna University in 2009. Directly following, she completed over 1200 hours of supervised practice in areas of focus including diabetes, kidney disease, eating disorders, sports nutrition, private practice and food service management through Central Michigan University’s Didactic Graduate program. She has worked for 10 years as a Registered Dietician, with previous roles in dialysis patient care and diabetic education/hospital diet office management. She has worked with Dominion Internal Medicine since 2016. 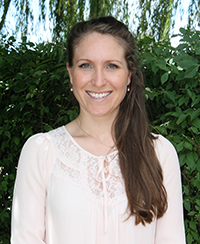 Jessica is a Registered Dietitian Nutritionist through the Commission on Dietetic Registration and a member of both the Academy of Nutrition and Dietetics and the Virginia Dietetic Association. She enjoys outdoor activities, spending time with her family, and DIY home projects. Warrenton, VA – December 10, 2018 – Dominion Internal Medicine is a primary care provider in Fauquier County. 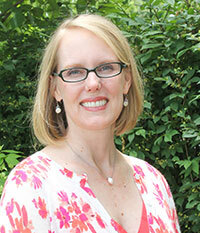 Today, it announces that Lisa Springer has joined its practice as a family nurse practitioner. Lisa Springer is a Marshall, Virginia, native, and has practiced medicine since graduating in 1998 with a Master’s degree from Shenandoah University. Springer’s enthusiasm and positivity is a good fit for the practice. She says that she is committed to helping her community in any way that she can. “She’s a wonderful addition to our group, and will serve the needs of the community with compassion and integrity,” says Dr. Michael Ackerman. Springer has three older children and enjoys cooking and spending time in the great outdoors. Her favorite pastime is mountain fishing and she has an interest in Civil War history. She is currently taking new patients. Call to schedule.